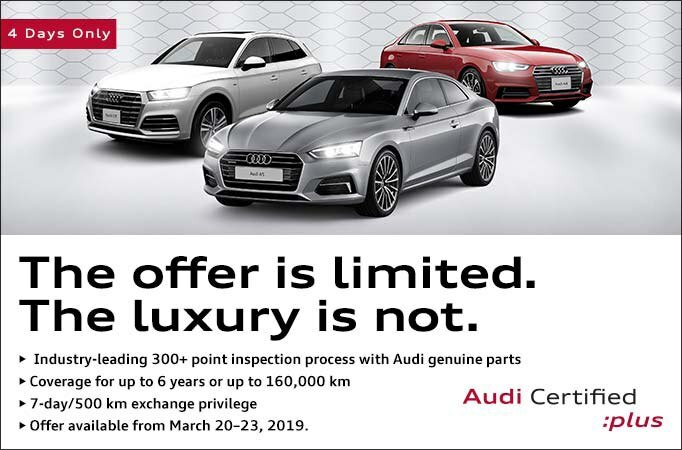 Allow our Audi Concierge Service to streamline and simplify your purchase experience by bringing our dealership to you! Our Audi Brand Specialists are happy to bring one of our vehicles to your home or workplace for a comprehensive review. Enjoy a rich, detail-driven explanation of key features, an overview of pricing and available models during this mobile consultation. If your schedule won't allow for a dealership visit, utilize our Audi Concierge Service for a mobile test drive. Contact us to schedule an appointment today. Please fill out one of the forms below respectively if you are interested in test driving a vehicle.